An unexpected break in the heart of the airport. The entire Mercure Paris CDG Airport & Convention hotel team is here to meet your needs and ensure you have a pleasant and friendly stay with us. Welcome! 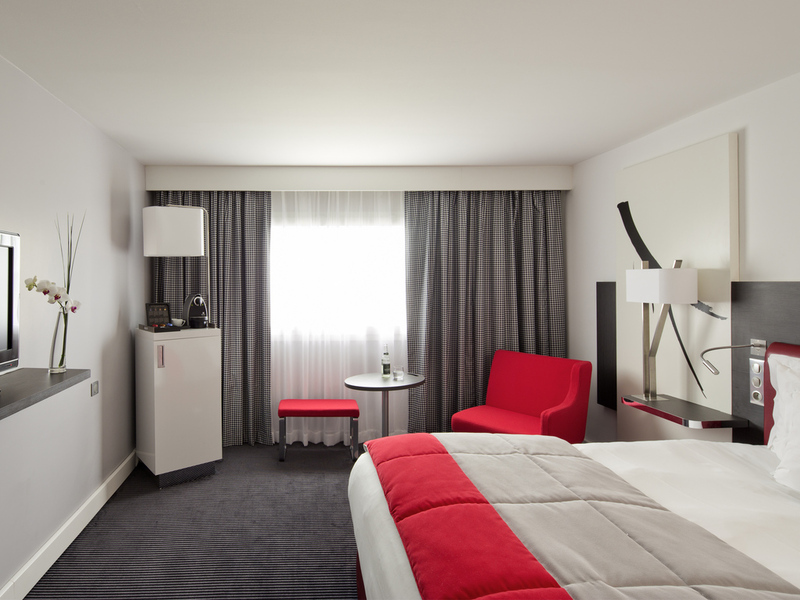 The Mercure Paris CDG Airport & Convention hotel welcomes you to the heart of the airport. This friendly hotel is ideal for a business or leisure stay. Take advantage of stunning views of the runways from your room or meeting room and equipment to ensure you have a pleasant stay. Free WIFI, swimming pool with terrace, fitness room, games, entertainment, 24-hour dining and lounge bar. The hotel also offers 19,375 sq. ft. (1800 m2) of conference space. Our large rooms and suites are fitted with high-quality facilities, triple-glazed soundproofing, WIFI, individual air conditioning and superior quality bedding, all to ensure your utmost comfort. L'Escale restaurant offers authentic produce cooked with passion by our Chef and team. The menu and daily specials change with the seasons to guarantee you fresh ingredients that will satisfy all your cravings. Our lounge bar is perfect for working, chatting or taking a relaxing or recreational break. Take advantage of our books, games and pool table, as well as regular entertainment. Open from 7am to 1am.